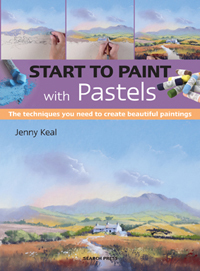 Category Archives: jenny keal pastel. I have made further progress on my painting for the Cox & Kings Morocco competition: The middle distance in a landscape painting is often a tricky area to tackle. 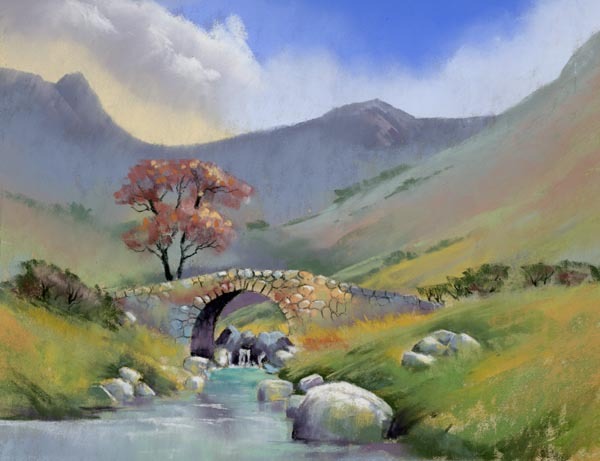 It’s important to keep in mind the relative size of features compared to the foreground such as trees and bushes; the colour temperature must be carefully controlled; and we must resist the temptation to render too much detail to features that are distant. 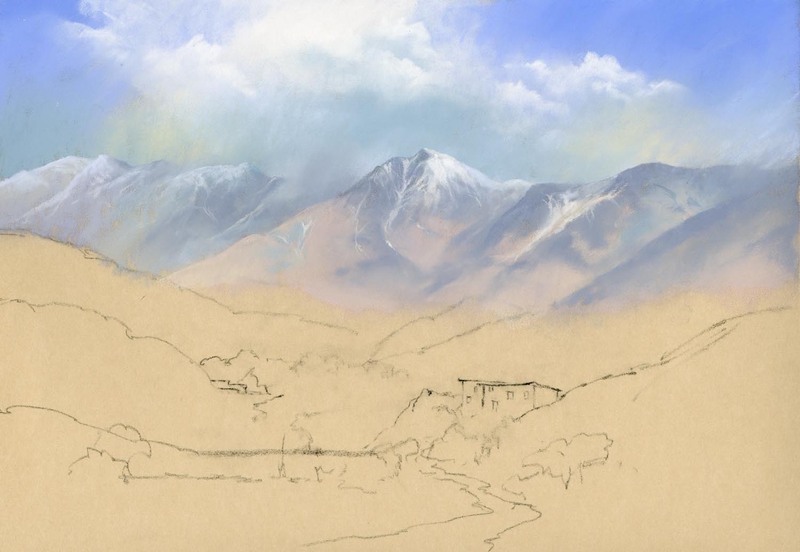 In the photograph there were very strong, sharply defined cloud shadows on the hills on the right and initially I painted these in as they were in the photograph but I quickly realised that they were drawing the eye too much and would compete with my focal point so I softened them considerably. The hills on the left were lighter in tone with less tonal contrast so there was no need to soften them too much. The next stage will be the focal point, the building, and the foreground. See you in a few days. 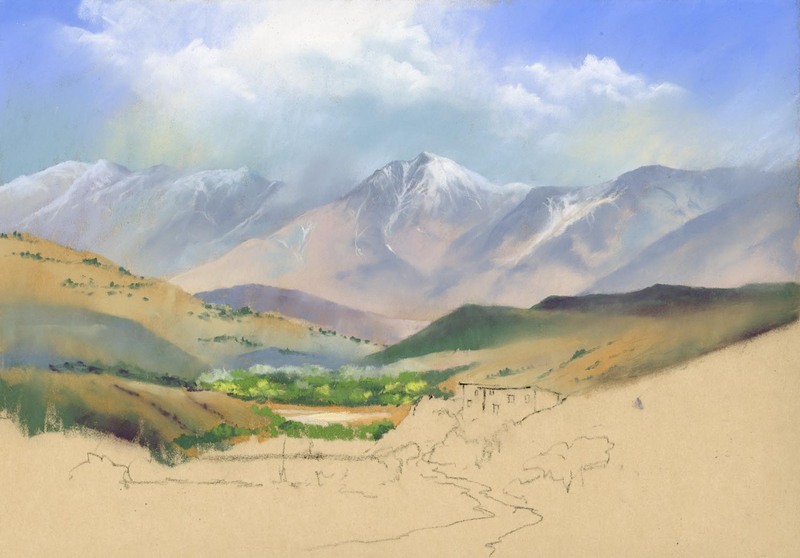 Yesterday I made more progress on my painting for the Cox & Kings Morocco competition: Stage 2 – Sky: When painting landscapes, I generally work from the top of a painting downwards. This serves two purposes. Firstly it helps prevent the heel of your hand smudging the work where it rests on the support and secondly it helps create a sense of recession. If you think of the landscape in terms of distance, the objects farthest away are usually lighter in tone, cooler in colour and less distinct. Translating this into the painting process means that you use paler, cooler colours in the distance and less detail. By working down the support you can remember that meme in your choice of colour and tone. 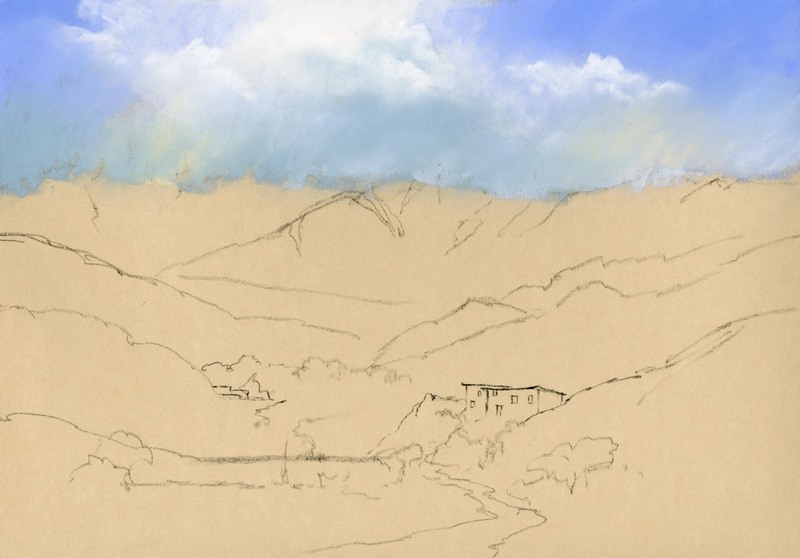 Stage 3 – The mountains: The sky was painted down over the drawn lines that defined the mountain tops. This is to ensure that there are no gaps between the sky and mountains and also to give the impression that the sky is, in effect, behind the mountains. 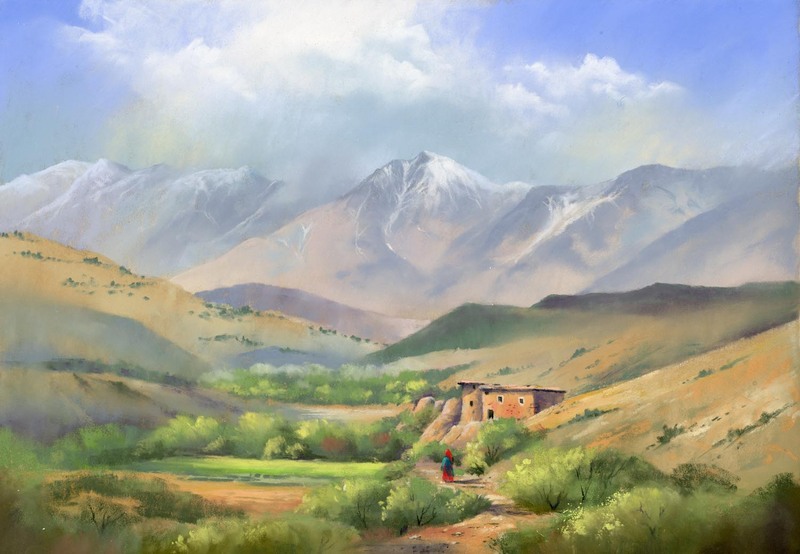 Sticking to cooler colours and pale tones, the mountains are painted with sharp edges in places and softer edges in others so that there is not a hard line all the way across the painting. Soft edged cloud shadows helps define the ridges. The next step will be coming soon.